Farrar, Straus and Giroux (BYR), 9780374376659, 352pp. Recklessly loyal. That's how seventeen-year-old Arden Huntley has always thought of herself. Taking care of her loved ones is what gives Arden purpose in her life and makes her feel like she matters. But lately she's grown resentful of everyone--including her needy best friend and her absent mom--taking her loyalty for granted. During one crazy night out in New York City filled with parties, dancing, and music--the type of night when anything can happen, and nearly everything does--Arden discovers that Peter isn't exactly who she thought he was. And maybe she isn't exactly who she thought she was, either. Leila Sales is the author of the novels Mostly Good Girls and Past Perfect. She grew up outside of Boston, Massachusetts, and graduated with a degree in psychology from the University of Chicago. Much like the characters in This Song Will Save Your Life, Leila regularly stays up too late and listens to music too loud. When she’s not writing, she spends her time thinking about sleeping, kittens, chocolate, and the meaning of life. But mostly chocolate. 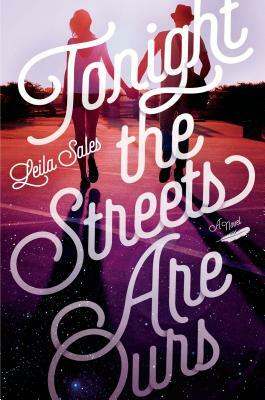 Leila lives and writes in Brooklyn, New York, and works in children's book publishing.